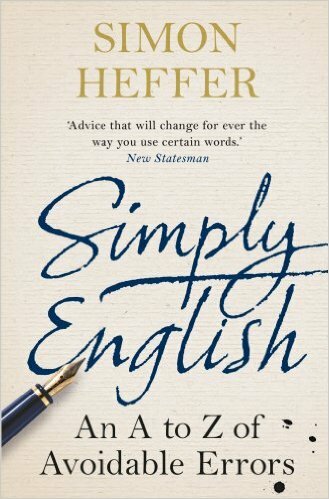 Simply English: An A-Z of Avoidable Errors is Simon Heffer’s second book on grammar. It is a very interesting read. Approximately half the content I already knew, but it was a good refresher on that. Other issues it clarified or corrected me on. It literally is an A to Z of words and how they should be used correctly, and how they are often misused. He frequently talks about the pedants. A group that he does not seem to include himself in. This seems strange given he has written two books on grammar. I agree that it was a sorry mistake for a leading national newspaper to misspell blackguard, but cataloging the date on which it was published strikes me as obsessive. He does approve of the verb ‘to text’ though. I am glad, because as Heffer correctly points out, there can be little rational objection to it. However, he does like to reminder the reader on a regular basis that he is down with it. Some of the content is rather elitist. Formally addressing a baron, for example. Am I ever going to use that? It feels like space that could have been put to better use. There was no entry on ‘troll’ for example, even though people frequently use the verb incorrectly. I think the book will have a positive impact on my use of English. I have learnt some things already, and see it as a valuable reference for when I am writing in the future. Robot Dreams is a compilation of short stories by Isaac Asimov. It contains a mixture of his work, including the robot series, but also the multivac series, and unrelated science fiction stories. A few I had already read in The Complete Robot but most were new to me. I think I enjoyed the book slightly more than The Complete Robot as a lot of the stories felt more polished. Overall, I remain more a fan of his full-length novels than his short stories, though both are good. 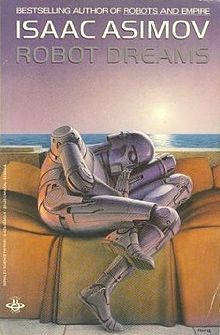 The story the book is named after, Robot Dreams is actually one of the worst stories in the book, in my opinion. There does not seem to be a satisfactory motive or conclusion to it. 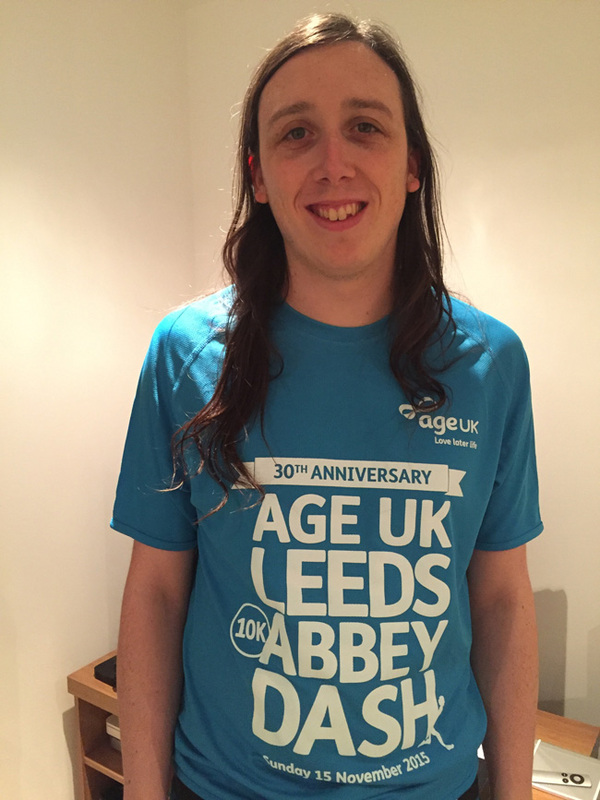 Earlier this month I ran the Abbey Dash for the second time. It was their 30th birthday, making them even older than me. The photo above is me the next day. I did not look like that after the race. I looked more like an shrivelled old man about to have a heart attack. The weather conditions were not ideal. It rained before the race, leaving us stood around for an hour in the cold and wet. Once the race started (at which point you actually want the rain to cool you down a bit) it backed off. I was 22 second slower than last year, coming home in 1:07:58. Not brilliant, but I trained harder last year, so to get such a small difference entires de-values all the work I did for the 2014 Dash. It certainly wasn’t the nightmare that my friend Howell had, running a 32:10, over 6% slower than his target time. I’ll give him some tips for next year. I made the mistake of putting 70 minutes as my expected time which bumped me down to the slowest starting pen. Next year I think I will bump it up as I have never run a 70+. I am not sure they are quite as well organised as Run For All. There is only one water station and I had to skip that because there was a queue. There was no big banner for the finish line so I did not know when it was time for that very final push until it was almost upon me. I was unable to spot some of the kilometre distance markers either. Finally I did not get my time until more than 24 hours after, whereas Run For All text me in under a minute of finishing (which I was very impressed at, later in the day would have been fine). Having eaten most of the mango chutney I made a few months ago, I have tired of mango and moved on. 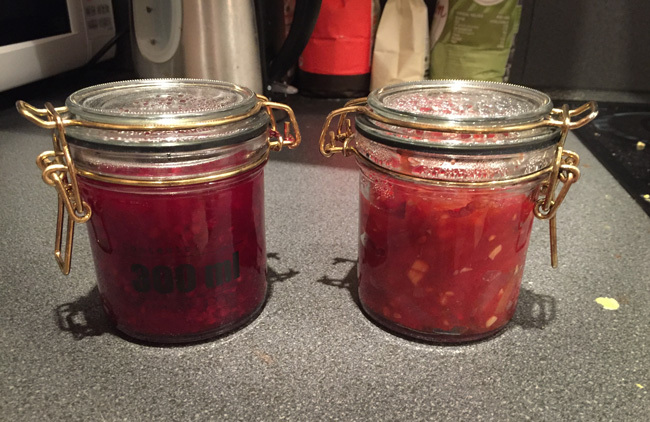 The tomato chutney turned out quite well, but my own-recipe apple and blackberry chutney is the real winter, especially with the holidays approaching. Unfortunately, it turns out that the secret to a really good chutney, is onion. Lots and lots of onion. My next project will be to find a way to replace the onion so that Elina can have some too. For our wedding we booked Essentials Hair Studio in Camblesforth to come to the venue and do Elina and my mother’s hair. It did not go well. They turned up over an hour late. Not really the start you need to the day. I received no phone call from them to say they were stuck in traffic. They said they tried to ring the hotel but nobody answered. That is plausible, but does not excuse not ringing me. When we quizzed them on what had happened, one told my father they had been waiting outside the shop for half an hour, the other said they were inside dealing with customers. You would think the time spent sat in traffic would give them time to get their story straight. Exactly how much traffic you can get stuck in in 11 miles of country lanes, on a Saturday morning, is a whole different debate. The first time they did Elina’s hair, they had to re-do it because it was incorrect. We know because we have a photo record of it. So did they, so you wonder why they did not use this to begin with. Elina was not happy with it the second time either, but it was close enough and we were late for the ceremony, so it had to do. We have filed a letter of complaint but have not received any reply. EDIT: Since posting this, they have refunded us £20. 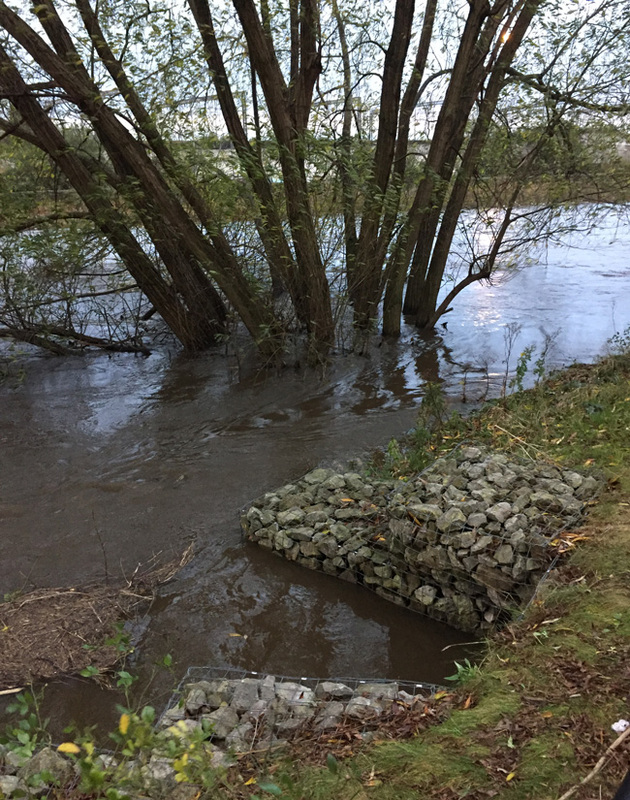 This tree is not supposed to be underwater. 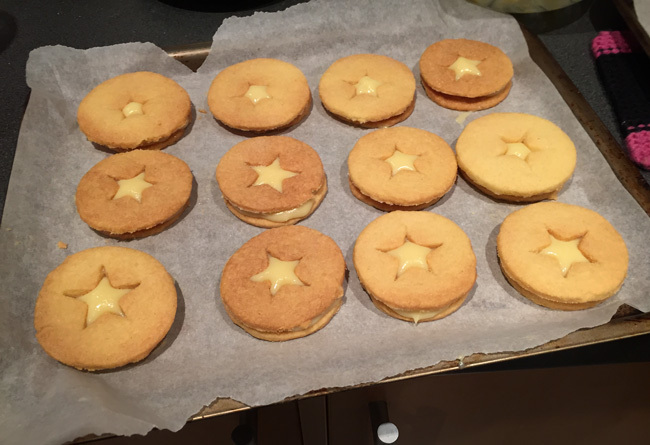 I have been working my way through Paul Hollywood’s book Pies & Puds. Having done most of the pies, I moved on to part two: puds. Thus invading what has traditionally been Elina’s territory in the kitchen. She can probably keep it to be honest. Desserts are hard work. You have to be exact and everything sticks to everything else, until you want to stick, then it just falls off. 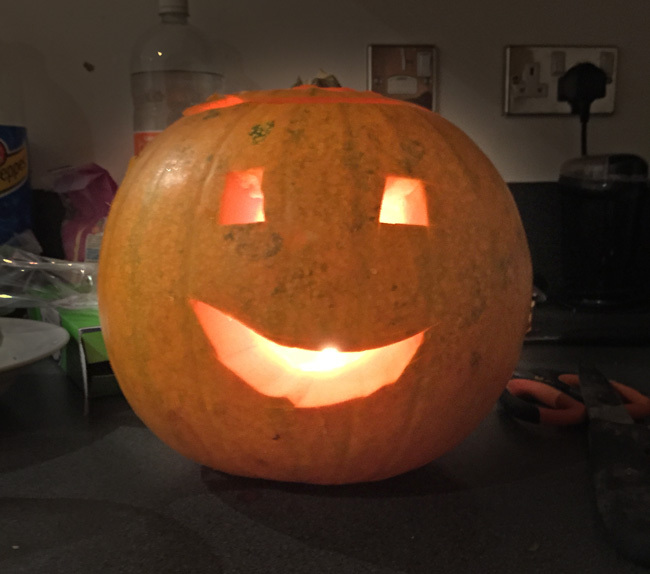 For our Halloween party this year I carved up some pumpkins. They all looked very happy. I started doing Parkun early last year. 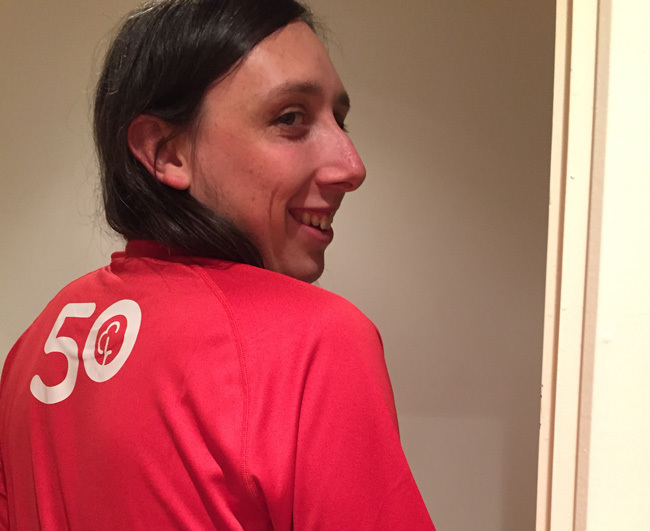 I’m not really sure how much I like it, but I have been pulled back each week by the promise of a free t-shirt. Now, almost two years later, I have said t-shirt! 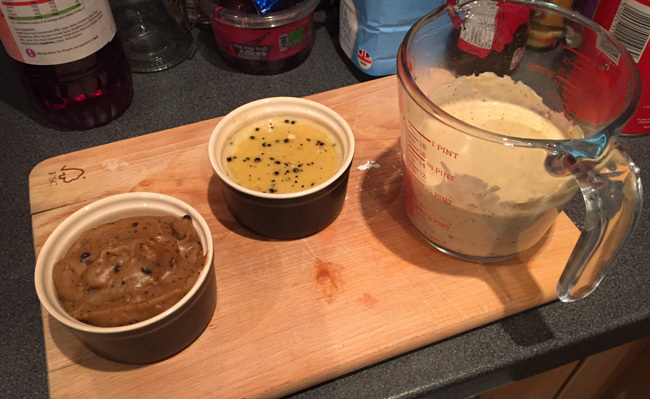 Many restaurants fail to make a good peppercorn sauce. You are served a watery gravy that looks like it might have been near a peppercorn once, perhaps long ago. I did not have a particularly good recipe myself though so I set out on a quest to come up with a better one. Looking back now, I realise how dull my life really is. It comes with a good sauce though. The photo shows a few of the iterations. The one on the right is the final champion.